Despite financial woes, Russia’s Utair Airlines increased its passenger numbers last year and is planning for double-digit growth in 2019. One of Russia’s top-five passenger airlines, Utair carried 7.967 million passengers (icluding IrAero wet-lease operation) in 2018, up 8.7 per cent on the previous year. The seat load factor also improved – by four percentage points, reaching 80 per cent. The airline’s aim is to reach record 8.9 million passengers in 2019, a 12 per cent increase. 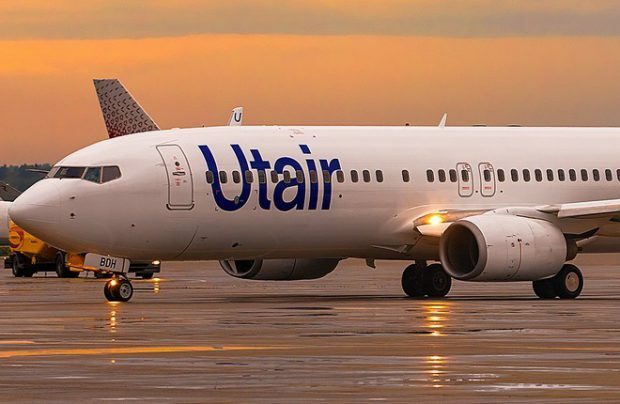 “In 2019, Utair is planning to increase both traffic and seat load factor by introducing new aircraft offering higher capacity in an expanded route network and at affordable prices,” the airline says in a statement. Three latest-generation Boeing 737MAX aircraft are scheduled to join the west Siberian airline’s fleet from April. They will each offer 177 seats in economy, plus eight in a business class cabin. The operator is promising to launch 13 new routes connecting cities in Russia in this year’s IATA summer season. Among the new city pairs are Astrakhan and Sochi, Volgograd and Kazan, Tyumen and Yekaterinburg, Krasnodar, Mineralnye Vody and Khanty-Mansiysk, Yekaterinburg and St Petersburg. “Moscow’s Vnukovo remains our main hub, from which Utair operates 58 flights across Russia and abroad. In November 2018, Utair generated 33.6 per cent of all traffic travelling through Vnukovo,” says Pavel Permyakov, president of Utair – Passenger Airlines. The airline is currently under tight oversight of both Russia’s aviation authority Rosaviatsiya and Ministry of Transport over Utair’s big debts restructuring effort. Headquartered at Surgut, Utair is Russia’s fifth largest carrier. It operates flights across a network of 150 destinations, of which more than 60 are unique, and with 49 connecting Russia’s regional and smaller cities. With a fleet of 65 aircraft, the airline flies from 11 mini-hubs across Russia: Ufa, Yekaterinburg, Krasnodar, Krasnoyarsk, Mineralnye Vody, Rostov-on-Don, Samara, Sochi, Surgut, Tyumen and Khanty-Mansiysk. Vnukovo serves as its main connection point, with more than 160 daily flights.